Wide-open eyes, chubby legs kicking and wearing nothing but tiny underwear baby Agnaldo Valerius is oblivious to the struggles his parents went through to give him a more auspicious start in life. More than 1,000 miles from his parents’ home of Haiti, he is one of the first islanders to be born in Brazil after the country began to receive a wave of immigrants fleeing the aftermath of the 2010 earthquake. 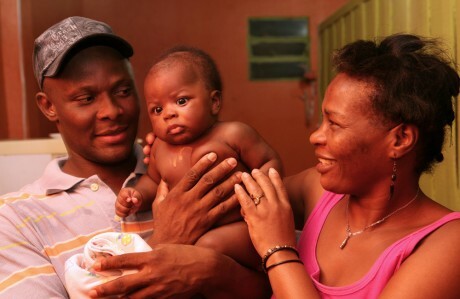 His parents, Anoux Valerius and Mari Monique Semexant, chose a Brazilian first name for their son as a tribute to the country where the family hopes to rebuild the life they had before the earthquake, the biggest to hit Haiti in the last two centuries. The quake destroyed the family’s house, killed more than 200,000 people and decimated the already fragile economy. Two years on, half a million people still live in makeshift shacks. The couple decided to leave when Valerius, 41, could no longer find work as a mechanic and driver and once Mari Monique, 38, had watched the groceries slowly vanish from supermarket shelves. “Our country is over,” Valerius states. Mari Monique was pregnant when they pooled all of their savings to join one of the first emigrant groups that opened a gruelling route in search of Brazil’s economic growth promise. The same path has now been trodden by more than 4,000 fellow Haitians. The route begins in the neighbouring Dominican Republic, where emigrants embark on a plane that takes them to Panama. Continuing by bus and on foot, the groups make their way through Colombia, Ecuador, Peru and sometimes Bolivia before finally reaching the Amazon border – still a week by boat from the nearest big city. The entire journey can take up to two months, depending on the traveller’s ability to find their way through Spanish-speaking countries, and can cost as much as $3,000. Valerius and Mari Monique sought asylum as refugees and Valerius found work as a bricklayer’s assistant in Manaus, the capital of the state of Amazonas. Today Valerius’s family shares a wooden shack in a shantytown with two younger Haitians. The common room lacks a ceiling but does contain a refrigerator, a stove, a TV and a fan. The walls are painted bright green and orange on the inside and are rough wood on the outside. The couple are a long way from rebuilding their lives but they feel lucky that they were among the first 200 Haitians to be granted a visa last April. Since then thousands more islanders have arrived, forcing the government to reassess its immigration policy. On January 10 the Brazilian government announced it would grant visas to 4,000 Haitians who have arrived since the earthquake. This includes the 1,600 like Valerius and Mari Monique who had already been authorised to stay and a further 2,400 who are in the country illegally. However, Justice Minister José Eduardo Cardozo said this was a one-off and made it clear the government would step up the policing of Brazil’s borders with Colombia, Peru and Bolivia, where the Haitians are crossing, and those without visas would be turned away. Sending Haitians back or barring their access at the border will not help the country’s image-building efforts to become a Latin American peace leader, especially in light of the UN Stabilisation Mission in Haiti, which Brazil has headed since 2004. The government has taken a stand on immigration regulation, calling for open-border policies. In 2009, when President Lula signed a bill granting amnesty to illegal aliens, he criticised developed nations’ discriminatory policies against immigrants. Yet efforts to build up the image of a welcoming country are not fully coherent. In the meantime, the ministry for social development announced this month that it was to give around US$520,000 to the states of Acre and Amazonas, where most of the Haitian migrants have settled. The money will be used for programmes to provide food and accommodation, education and skills to Haitians. Another programme will provide access to a special health service that will work independently from the national system, to meet the specific needs of the migrants. “Our government likes to project a friendly image. It’s true, Brazil’s door is certainly open, but for Haitians, it’s the back door,” says Gelmino Costa, a Catholic priest whose church has become a foothold for new arrivals looking for shelter and a job in Manaus. 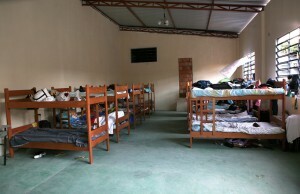 Costa’s congregation rents ten houses to shelter the 1,200 Haitians who have made the city their home. At the church door, Fauvette Vincent, 36, was one of the dozen Haitians waiting for the priest to ask where to find a job. Her first week in Manaus was spent regretting the journey. 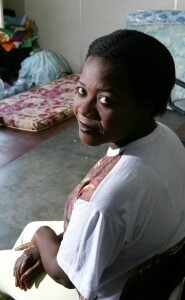 “Back in Haiti, people say there are plenty of jobs here, that there is welfare assistance to help us. All lies,” she sighs. Fauvette recalls feeling sick when she crossed the border into the city of Tabatinga and saw hundreds of Haitians milling about, sleeping under plastic tents. There are around one thousand Haitians in this small border city. They need somewhere to stay and to earn a living, but there are not enough jobs in the 52,000-person city. As Fauvette speaks Spanish, she managed to cross four countries and avoid falling victim to the coyotes – people smugglers. “There are a lot of coyotes getting rich at the cost of Haitians,” she says. “At first they offer help. Then they take you into the bus and demand money for petrol. How can this be if you’ve already paid for the ticket?” Some of the Haitians in Manaus today spent more than US$3,000 on the journey. Fauvette spent less than US$1,500. Fauvette is staying in a women’s shelter run by another Catholic organisation. “It feels like an adult orphanage,” she says. The churches have become Haitians’ first point of contact in Brazil. When there was not enough space to accommodate the hundreds of new arrivals earlier last year, one of the priests offered the church floor and benches for the immigrants to sleep on. 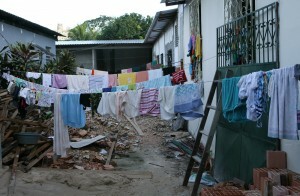 It is common for middle class Brazilian families to have live-in maids, offering salaries below the legal minimum wage. In some cases, young girls trade work for room and board. Haitian women simply do not accept this kind of contract. The Haitian immigrants tend to come from middle or upper class families (which is the reason they can afford the journey in the first place). Some have received a college education. “This is a delicate situation,” explains Perin. “They want to live here, but they refuse to accept the treatment shown to Brazilian women. I don’t blame them, but how will they survive?” Most of the Haitian women refused to be interviewed or to have their pictures taken. “We don’t want our misery portrayed; this is not who we are,” one of them said, rushing out of the shelter. Some Brazilians who hired Haitians ended up firing them. “After four months working here, earning the minimum wage like everyone else, they started asking for a raise,” says Alcino Rodriguez, the owner of an electronic board factory. “I had to let them go.” The minimum wage is $545 reals ($348 US dollars) a month before taxes. The average rent in Manaus is $400 reals. 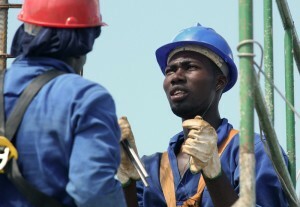 Valerius’s employer, Marcio Chacon de Melo, has already employed 20 Haitians. At the same construction site, Junior Pierre, 29, was lucky enough to find a job similar to what he used to do in Haiti: he works as a blacksmith, earning double the minimum wage. He is saving money to go to São Paulo, the wealthiest city in the country. The day we visited the construction site, Valerius had been suspended from work because he had got into a fight with a co-worker. One of the Brazilians had been making discriminatory jokes about him for a long time, and finally Valerius exploded. “No hard feelings, please, I want to forget this,” Valerius says, reluctant to talk about it. There are no reports of crimes committed by Haitians in Manaus. “They are here to rebuild their lives; they don’t want trouble,” says Costa. But the priest is worried about Brazilians’ subtle racism, especially after newspapers published controversial articles about the immigrants. One feature described how a prison in Port-au-Prince had collapsed during the earthquake, releasing thousands of rapists and murderers. The headline read: ‘Haitian refugees: authorities on alert’. Aside from the problem at work, Valerius says his family is getting along fine. Walking home at the end of the day, some neighbours wave at him, calling out “bonsoir!” Since Mari Monique does not yet speak Portuguese, Agnaldo is in charge of making local friends. While we were at their home, a three-year-old girl walked into their living room and gave Agnaldo a goodnight kiss. She nodded to Mari Monique, who smiled back, and left. 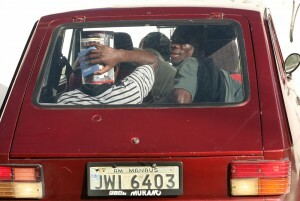 Now that Valerius and Mari Monique have permanent visas they are anxious to bring over their sons – aged 19, 21, 22 – who remain in Port-au-Prince. Although documents are no longer an obstacle for the family, money is. The couple spent most of their savings on the journey under the assumption that Valerius would build them back up with newfound work, but the minimum-wage job does not leave much at the end of the month. With his visa, Valerius has now obtained a driver’s licence and is saving to buy a city map to study. As a driver, he might earn at least as much as he did in Haiti before the earthquake and, finally, start saving to reunite his family. please, keep me informed. I’d like to know what’s happening. I tried to cross the border with a Haitian friend in March, but they would not let him. My firend is in Ecuador now. He’s making 20 dollars a week.